During the first half of the 13th century, Blanche of Castile (d. 1252), queen and queen mother of France, often resided in Paris. 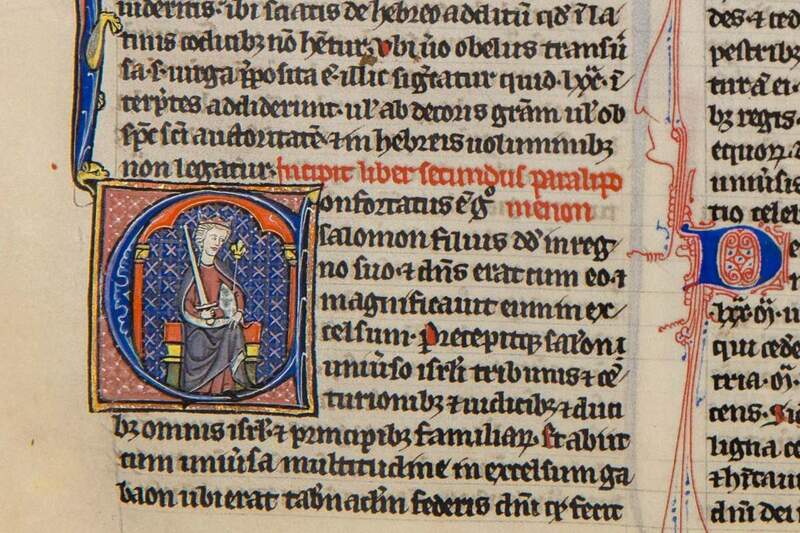 Her patronage of manuscripts was extensive and elegant, and she is called “the first important royal patron of the thirteenth century”. She also oversaw the education of her children and exhibited a compelling concern for their spiritual welfare. Of the six of her children who survived childhood, Louis IX and Isabelle of France, reached sainthood. Her dedication as a mother and educator is recorded in various works of art. Presumably, the famous manuscripts of the Bible Moralisée were produced for the French royal family under her patronage. These were quite innovative works with a didactic function. As Queen of France and twice regent (the second time when Louis IX was on crusade, 1248-1254), it was through her extensive patronage of art that Blanche had lasting effect. The queen is also considered to have possibly been a patron of the Sainte-Chapelle (1238-1248). In that royal chapel as well as in manuscript illumination, the fleur-de-lys symbol and images of rulers are omni-present. In the illuminations in our Parisian Bible (illuminated by the Royal Psalter Group), royal power is expressed in the fleur-de-lys at King Solomon (f. 139v, see header image), at Cyrus king of Persia ordering the building of the Temple (f. 152r, below), and in the image of King Artaxerxes (f. 155r). 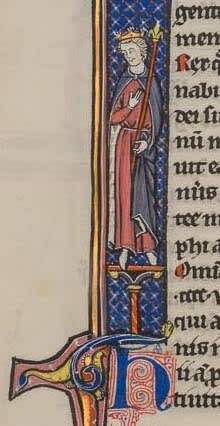 There are several examples of female royal power in this manuscript. 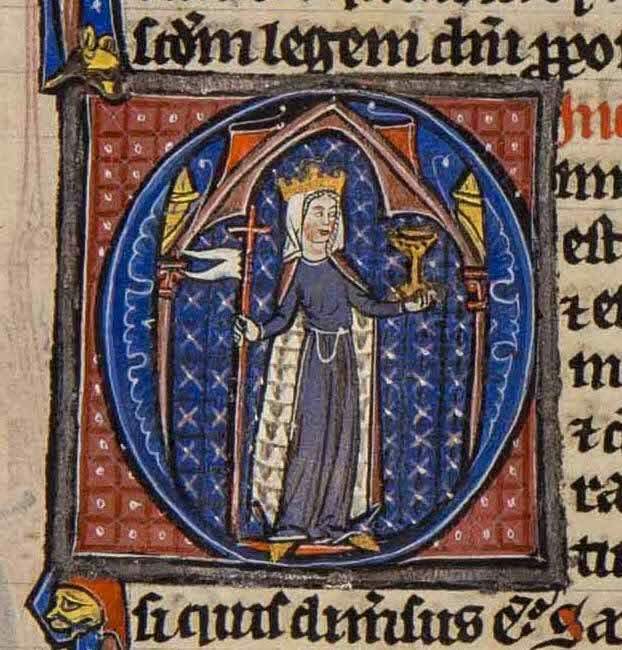 One instance, a prominent display of Ecclesia as queen standing in a Gothic church and holding a cross with banner and a gold chalice (f. 224v), should be understood allegorically. Ecclesia is a word in the feminine gender and Christian art always personifies the Church as a woman. The Church as Christ’s bride (Paul in Ephesians 5:26) and as the bride from the Song of Solomon are also allegorical symbols. 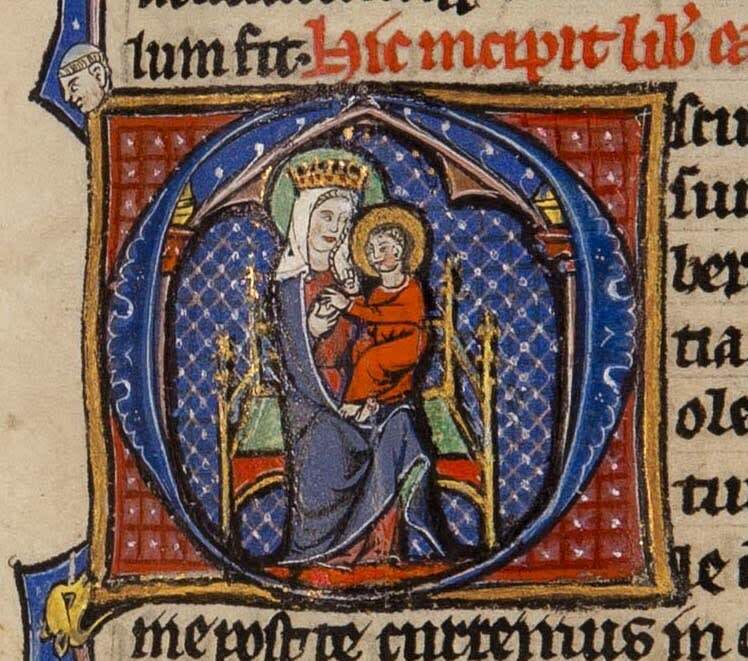 Here, the crowned Virgin and Child opens the Song of Songs (f. 218r). while at Job (f. 178r) it seems to be a Queen, with her attendants, who functions as the personification of the wife who visits him on the dungheap. These illuminations emphasize women's roles, especially those showing women wearing a crown. Likely, these images not only refer to religious metaphors but also to French royal symbolism. Scholars have argued that representations of women may suggest either a powerful female patron and/or a powerful female reader. It is documented that Blanche paid for three bibles in the year 1242, within a decade of the creation of the famous Bibles Moralisées. Although the manuscripts concerned have not been identified, it confirms the Queen's commitment to art patronage. 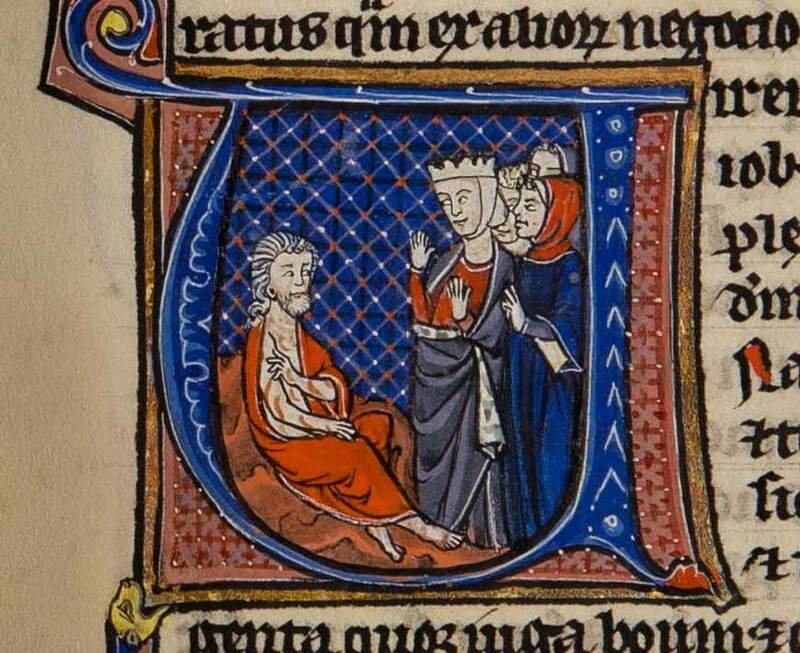 A bible now in the BnF in Paris (ms. lat. 14397) and presented by Blanche to the Abbey of St. Victor, may be one of them. Both that (earlier) book and ours share important iconography. However, our fine Bible was completed later, c. 1260-1270 and in the workshop of the Royal Psalter Group (request detailed description for more info). The queen herself supported the Cistercian order and was buried (d. 1252) in the Cistercian nunnery of Maubuisson, just outside Paris. However, her youngest surviving daughter Isabelle (d. 1270, equally saintly as her brother the king) also expressed an interest in religion and devotional texts from her early youth onwards. She was devoted to the Franciscan order and even though she lived in the community of the Poor Clares at Longchamp (founded by her and her brother Louis IX, 1255-1259), she did not enter the order herself, but supported the sisters with her wealth. Was our codex possibly tailored to speak to women? And is its first destination perhaps to be found in such a community as favoured by Isabelle of France, later canonized Saint Isabella of France? PS: Isabella's brother King Louis IX customarily gave manuscripts to his monastic foundations and continued the tradition of patronage of his mother.. He may also have commissioned the Bible of "royal quality" which is now Cambridge, Fitzwilliam Museum ms. 1 (Cambridge Illuminations 2005, no. 31, c. 1250-1260). For literature, please see: Capetian Women, ed. by Kathleen Nolan (New York 2003) – see esp. Tracy Chapman Hamilton, "Queenship and Kinship in the Bible Moralisée, The example of Blanche of Castille", pp. 177-208. This manuscript has also been featured in our Spotlight on "Radiant Renewal". 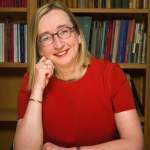 Helen Wüstefeld is a medieval historian and library scientist, who is specialized in manuscript studies.